Hobbs has done a fine job in encouraging comedic risk-taking in his cast. The blocking is well balanced and makes good use of the clever, versatile set designs by Brett Simpson and David Lang. Some cast members attack the script with a heightened level of farce, while others deliver a more realistic rendition of the script. This does lead to a bit of a mismatched feeling in the styles of delivery. Otherwise direction is very competent, embracing the fun and antics of the script. Emily McCormick delivers a splendid performance as Viola. She has a gift for interpreting Shakespeare for a modern ear. Jason Nash steals the show comedically as Sir Andrew Aguecheek. He is fearlessly funny and has some lovely physical moments. 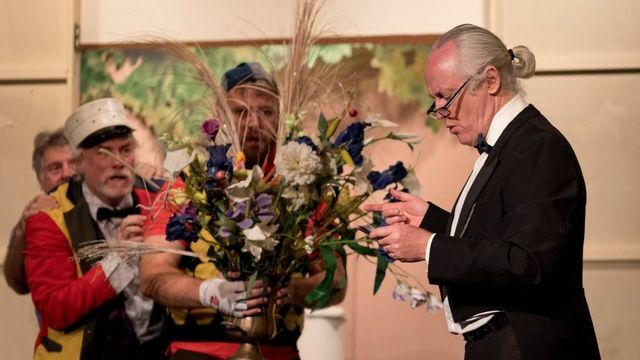 Sharon White is a believable, likable Maria and Chris Carroll as Sir Toby has you imagining he might actually be drunk as he plays the dishevelled part with such conviction. The other players, while making great effort, each suffered from some technical difficulties, such as memory lapses, lack of vocal power due to breath control and failing to use the resonators in the chest when projecting, unnecessarily stealing focus, unmotivated action, losing focus and presenting every line of dialogue to the audience as if it were written as an aside. All performers could also work on convincing the audience of their attraction to their love interests in this production. Community theatre is the nursery from which professional performers spring, so naturally you approach these productions with the expectation that you will see some technical difficulties. It’s thanks to groups such as St Luke’s that these performers have a chance to work on these technical aspects and improve their craft. 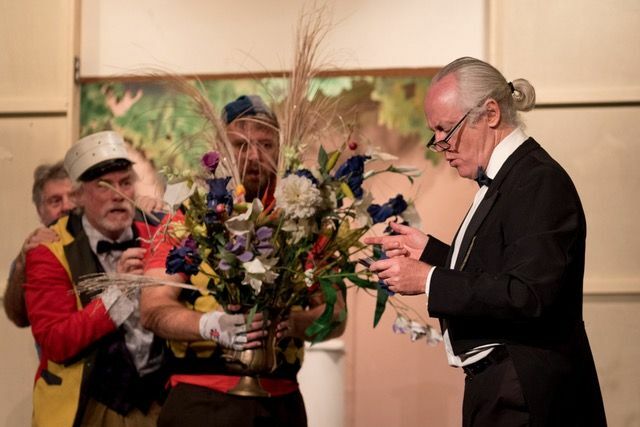 This production of Twelfth Night gives the audience plenty of opportunities to laugh out loud. There’s a reason Shakespeare’s work endures to this day and this is definitely one of his wittiest and cleverest works. The musical numbers composed by Jayden Hobbs are especially fun. They really capture the spirit of the play while including some hilarious local references. You leave the theatre at the end with the music and lyrics still playing in your mind and a smile on your face.